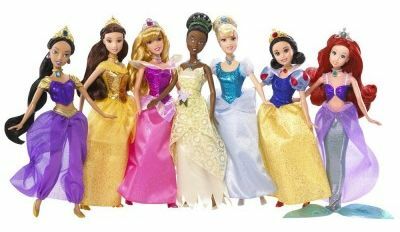 Prize: Two winners will receive a Disney Princess Doll of their choice. Our ultimate dream vacation is to go to Disney World someday. 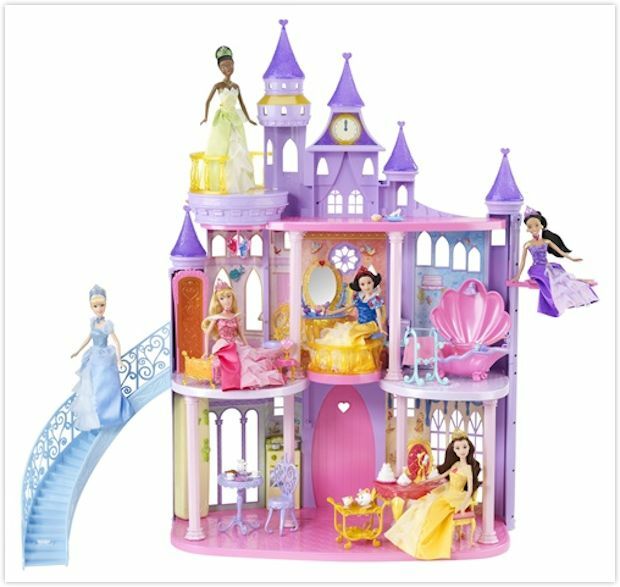 In the meantime, the Disney Princess Ultimate Dream Castle ($149.99) is the closest thing to my cousin TaKasia’s dream. She loves just about anything Disney Princess related. Therefore, you can imagine how thrilled she’s going to be when I surprise her with this once her and her mother (my niece) gets back from Florida. I’ll be sure to update this post with a picture or two after she gets it. I didn’t think setting it up would be an easy task. Despite this castle being generously sized, setting it up was such a breeze. It stands three stories high and has over 50 pieces. Each room in the castle is extravagantly detailed and will easily accommodate one of the Disney Princess Dolls ($9.99 for each; my niece received Belle and Tiana, which is her favorite Disney Princess). The Disney Princess Ultimate Dream Castle features the most iconic rooms for each Disney Princess. It includes a staircase that features Cinderella’s lost glass slipper that she must look for before the clock strikes midnight, Jasmine’s magic carpet elevator, Belle’s dining room, which is beautifully adorned with Lumiere’s decorated silverware (napkins dance on the table to entertain all of the guests); a balcony for Tiana, Sleeping Beauty’s bedroom where a fairy godmothers hovers overhead to protect her from harm. This is just a some of the themed rooms that I’ve mentioned. It would be hard to believe that any girl would be disappointed with this castle. I wish I could step back in time and play with this castle myself! The only drawback is that it’s a bit pricey. However, I believe it’s a good investment, considering the hours of endless fun it would provide. It is a great way to foster your little girl’s imagination. Also, it doesn’t include any of the dolls and it requires 2 AA batteries. Therefore, you’d have to spend $10 for each Disney Princess – not a bad price at all! The item(s) in this review were provided by the Mattel Disney Insider program to the reviewer for keeps and the purpose of writing a review. This in no way effects the quality of the review provided. No monetary exchange occurred in exchange for the writing of the review. The views expressed in this review are strictly that of the reviewer. All reviews provided here are the work of the reviewer and remain completely unbiased. The giveaway will conclude on November 23rd.